Technical Foul Assessed to Extra Timeout? Q: If a team is granted an extra timeout is there a technical foul assessed? 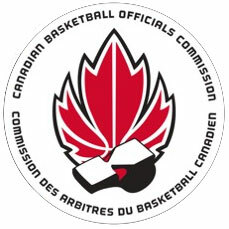 A: Outside of after a warning for not returning to the court promptly after a Timeout, having the same thing happen again and a team not having any more timeouts for the officials to apply, resulting in a technical foul, there is no provision to grant a team an additional timeout by assessing a technical foul. By rule, it is the responsibility of the Scorer to inform the coach/assistant coach that they have no timeouts remaining if they request a Timeout when they don't have any left in the half or overtime period. Keep in mind that we are typically working with students at the score table so they may not be aware of the protocol and may make errors in this regard. If the officials grant a timeout to a team that no longer has a timeout, as soon as it is recognized, they should have the teams return to the floor immediately. No technical foul shall be called since the Timeout would have come through the table and they would have informed the officials of the Timeout request. Time-outs. He must notify the officials of the time-out opportunity when a team has requested a time-out and notify the coach through an official when the coach has no more time-out(s) left in a half or overtime.